One of the best aspects of traveling the world is getting outside and exploring the unique landscapes that cannot be found anywhere else. 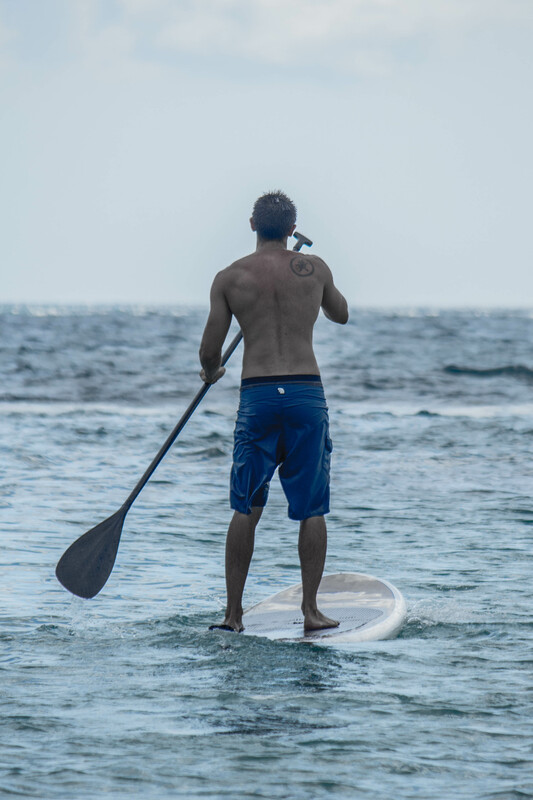 Hawai’i is a perfect example of a treasure trove of outdoor activities. Away from the hotels and pools, you can partake in a million different outdoor activities. From surfing, to diving, to hiking, after just one week in Oahu with my family, my body was exhausted. I’m an avid diver, so the first thing on my mind whenever I’m by the ocean is, “When can I go under?” Between the reefs and the wrecks, the coral and the sharks, every time I dive, I’m treated to a glimpse of an entirely different world. 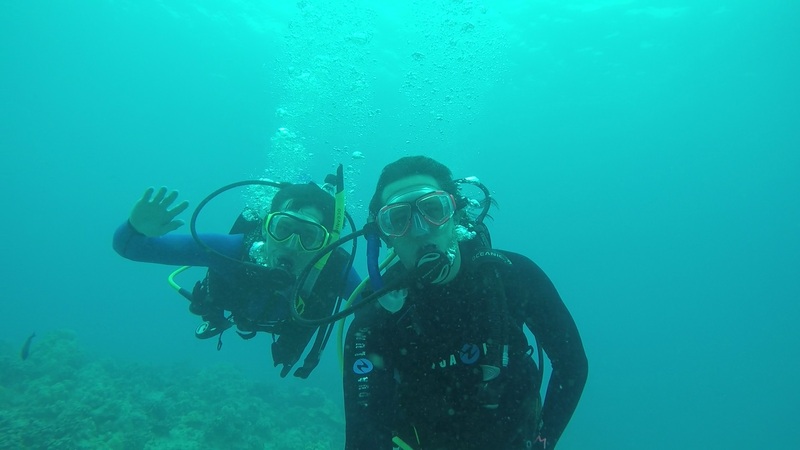 This was also my first dive with my new GoPro, so naturally I had to take a selfie with my brother. While the ocean is definitely one of the first things to come to mind when you think of Hawai’i, there are plenty of things to do on land as well. So taking a break from the salt and waves, my family took a drive to the popular Diamondhead State Park. Diamondhead is a volcanic cone and made for a great, relatively easy hike (just make sure to bring water!) While the view at the top of Honolulu is spectacular, sometimes even on land you can’t get away from the beauty of the ocean. While on the island, I also got to try a whole new activity: spearfishing. For those not familiar with this activity, it involves swimming around a reef with goggles, looking for prey, and then holding your breath for as long as possible while you dive 20 to 30 feet and aim a buoyant spring powered gun at an unsuspecting fish. However, we couldn’t shoot at just any fish – we were specifically looking for invasive species. As a conservationist, I’m fully aware of the damage to the native ecosystem caused by invasives, giving me extra motivation. Unfortunately, we weren’t particularly successful, not shooting much more than the practice dummy fish. So after a week in Hawai’i, I was left a ton of new memories and experiences and a very sore body. Perfect for ending my week sitting at the pool, soaking some rays, and drinking a mojito. The ocean is such a beautiful turquoise in your photo. I’m adding a Hawaii dive to the bucket list! Oh, spear fishing! That’s new territory. I’m sorry to say, I’m glad the fish got away. ;P Thank you for sharing your experience and gorgeous photos.